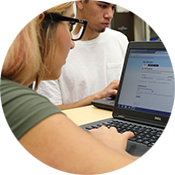 Check here for information on Gavilan's Guided Pathways planning. The California Community College Chancellor's Office has recently released the Vision for Success: Strengthening the California Community Colleges to Meet California’s Needs, which emphasizes a "commitment [to]the Guided Pathways initiative, a five-year, $150-million project aimed at engaging administrators, faculty and staff to enact comprehensive changes so that all courses are designed as part of a coherent pathway with a clear outcome". For too many community college students, reaching completion goals is often a “dream deferred.” They face a bewildering number of choices and often take courses they don’t need, resulting in an average of five or more years spent reaching transfer-readiness, or debt accrued and no degree or certificate earned. To remedy this problem, more colleges are restructuring their programs into guided pathways. 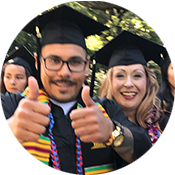 The California Community College Chancellor’s Office provides this resource for colleges to access recent student success data.